I gave up trying to get a picture without crumbs around the muffins. They dropped crumbs on the plate every time I made adjustments. This is just the way it is. I am pretty fussy about my cornbread. I don’t like it to be overly sweet which I feel like most recipes are. Hence, has taken me quite a while to get a recipe that works well for me. The rest of my family will happily eat these, too, even if they are gluten free. They taste better made with butter (doesn’t everything? ), but if you are dairy free, substitute shortening, canola oil or coconut oil and they will come out fine. 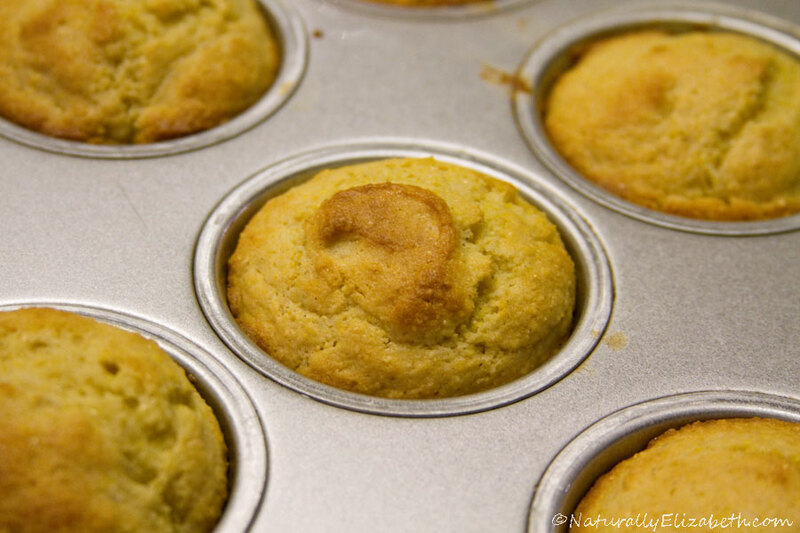 The original recipe calls for using paper muffin cup liners. I hate them. I feel like they are an environmental waste and that oiling a pan is just as good in most recipes. I have only one recipe (nectarine cupcakes—they’ll show up on the blog next summer when stone fruits are in season) where I have to use them because the cupcakes fall apart too much if I don’t. I also react to the cupcake liners when they are in the oven. They give off something toxic when heated. I don’t really want to add toxins to my food when I’m going out of my way to make sure it’s organic! Preheat oven to 400F. 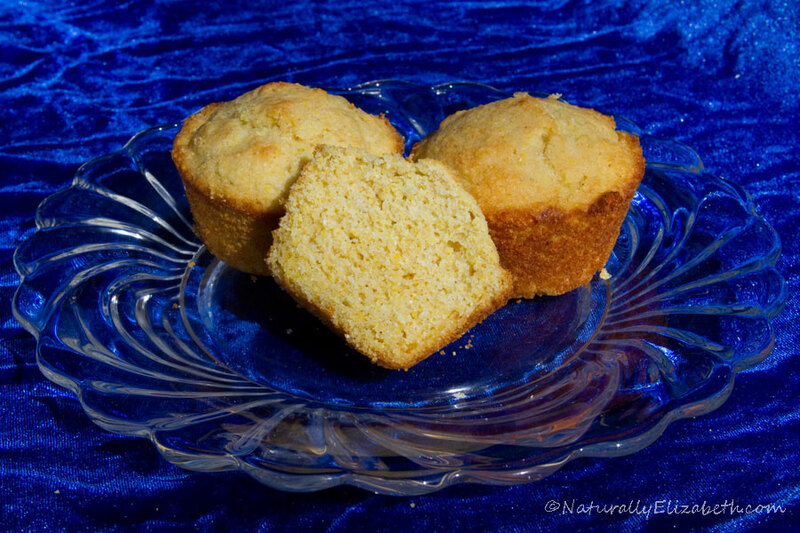 Oil 12 muffin cups with canola oil or the oil of your choice. Set aside. In a small bowl, mix together the coconut milk, eggs, butter, and honey. In a large bowl, mix together corn meal, millet flour, brown rice flour, tapioca starch, sorghum flour, xanthan gum, baking powder, sugar, and salt. Pour the liquid mixture into the dry mixture and stir well. Divide the batter evenly between the 12 muffin cups. Bake for 15 minutes at 400F. *If making this dairy free, substitute coconut oil, canola oil, or palm shortening.